You are the protagonist of an unfinished 1st person fantasy game, trapped in development hell. The designers (played by James Urbaniak, Ashly Burch, and Karen Dyer) are god-like, but so indecisive that they've given you no powers whatsoever. With the help of a mysterious disembodied voice (Stephen Russell) you must seize the tools of game development from these unworthy 'gods', uncovering more of the darkly comic story as you go. Rather than traditional puzzles with a single solution, the incomplete state of each environment is a question that you answer in your own way. Trap the designers' creations, steal their behaviors, and re-mix them to explore and master this world-in-progress. Can you out-think the game gods? 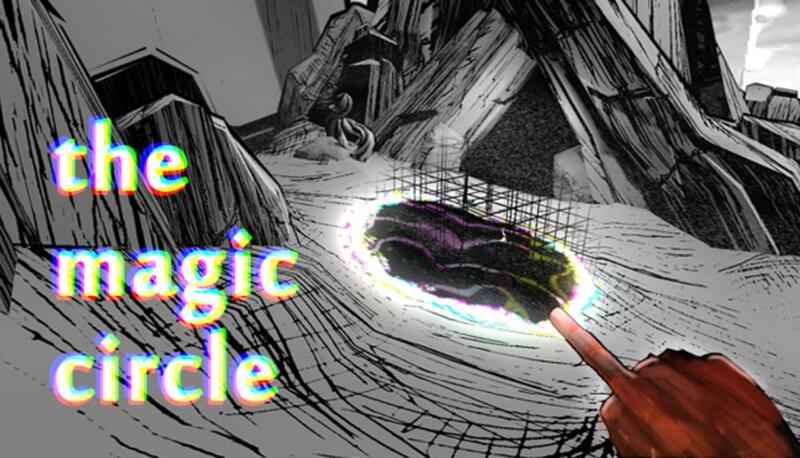 Can you ship The Magic Circle from inside it?